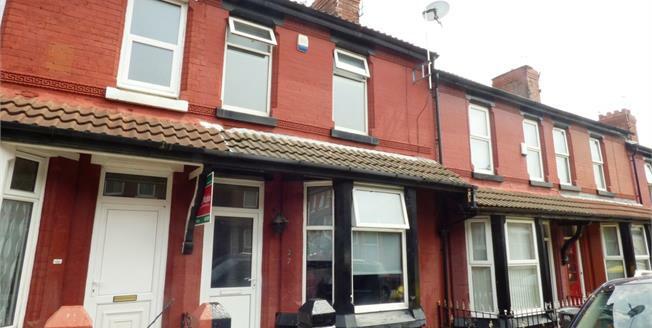 Clive Watkin are pleased to offer this late Victorian terraced house is well presented throughout, and is situated between Mersey and Victoria Park in a popular residential area close to local amenities, schools and transport links. In brief, the accommodation comprises; entrance hallway, open lounge/diner and fitted kitchen. To the first floor, there are three bedrooms and new modern bathroom suite. UPVC double glazing is installed, and there is a gas fired central heating system. Currently, the property is tenanted and there is an option for the buyer to purchase with sitting tenants to maximize return potential. BEDROOM 1 14' 1" x 9' 11" (4.29m x 3.02m) Double glazed window with front aspect, carpeted. BEDROOM 2 12' 1" x 8' 8" (3.68m x 2.64m) Double glazed window with rear aspect, carpeted. BEDROOM 3 9' 2" x 6' 9" (2.79m x 2.06m) Double glazed window with rear aspect, carpeted. BATHROOM Double glazed window, three piece white suite comprising bath with mixer taps and shower attachment, pedestal wash hand basin with mixer taps, low level WC.